As one of the world’s luxury Scotch whisky brands, Chivas Regal deserves a place in all the world’s finest bars. Chivas will be rolling out a global five year programme, The Chivas Masters which will challenge the world’s finest bartenders to ‘travel back through time’, re-discovering the classic cocktails of the past and giving them a modern interpretation with Chivas. It aims to be an international competition that will have a presence in every major region globally. 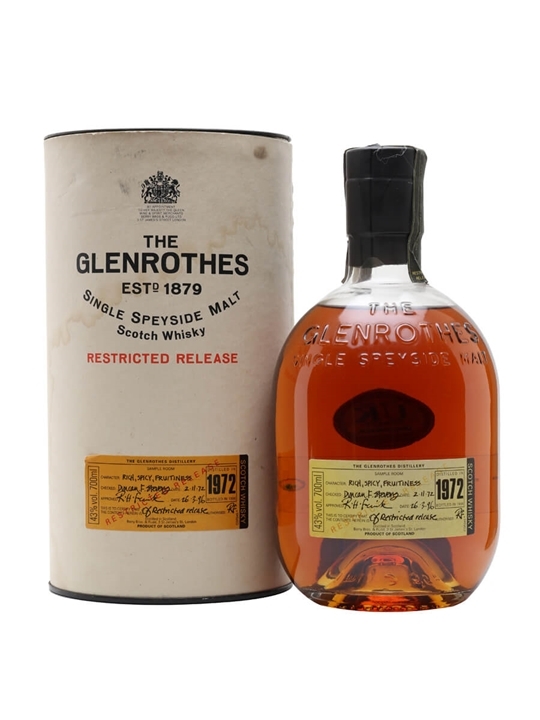 70cl / 43% / Distillery Bottling – An old 1972 vintage bottling of Glenrothes from the mid-1990s with the official short description ‘Rich, Spicy, Fruitiness’. That’ll be sherry, then, from a period during which Glenrothes produced some of their very best whisky. These early vintage bottlings are getting pretty scarce these days.